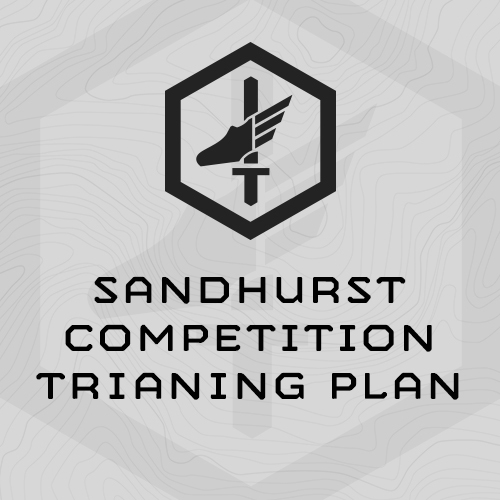 8-Week Training Program specifically designed to prepare athletes for the annual Sandhurst Competition held at West Point. The plan includes a 1-week taper, and is designed to be completed the 8 weeks directly prior to the competition. This program gets progressively harder each week, until week 7, when the training tapers down into the start of selection. Also understand this training plan addressed the fitness demands of the Sandhurst Competition only. It does not include marksmanship, ropes course, etc. technical training. Thanks for all of your support in developing the training program for our team. The team placed 2nd overall (missing 1st by a small margin of 59 points out of a total of 15,000), dominating all West Point and ROTC teams. By far the best performance from an ROTC program, ever. All spectators were very impressed with the team’s performance and functional fitness.